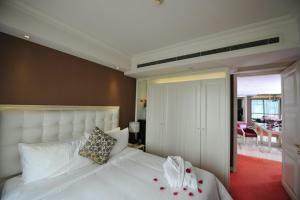 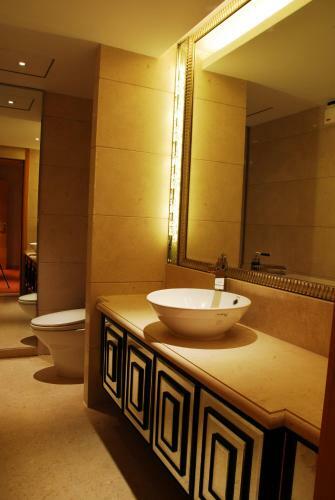 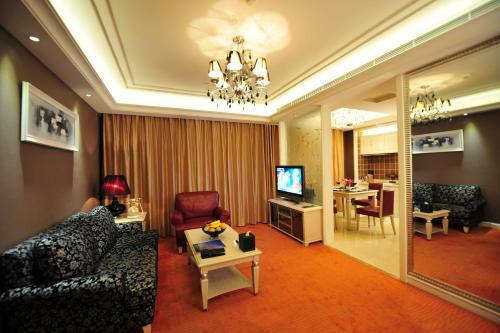 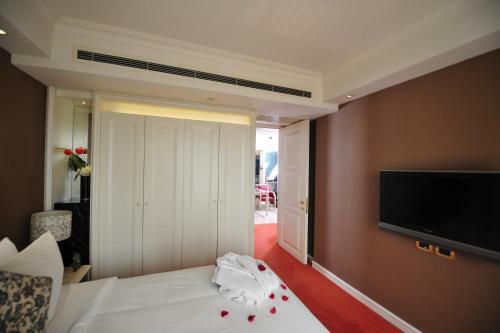 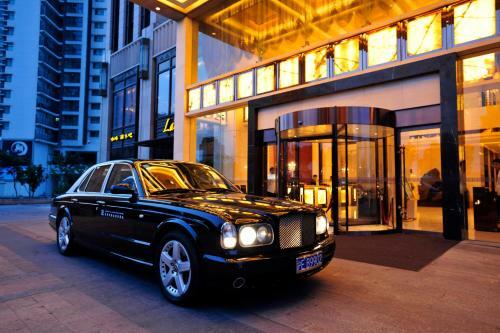 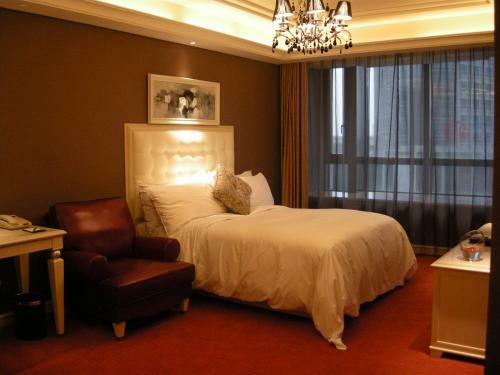 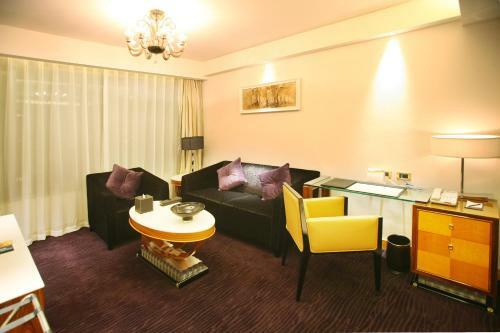 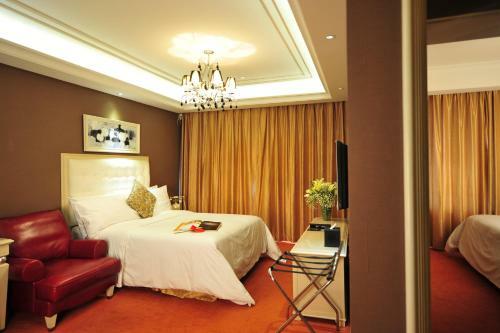 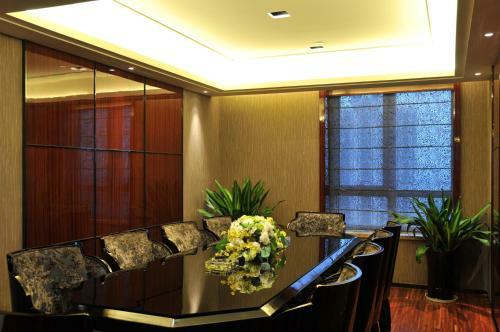 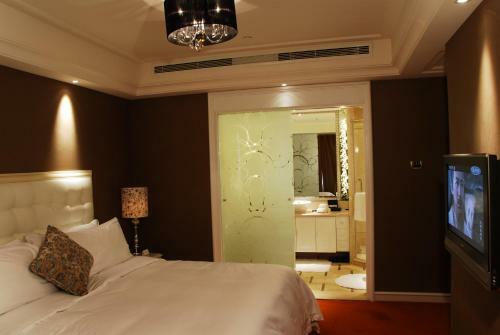 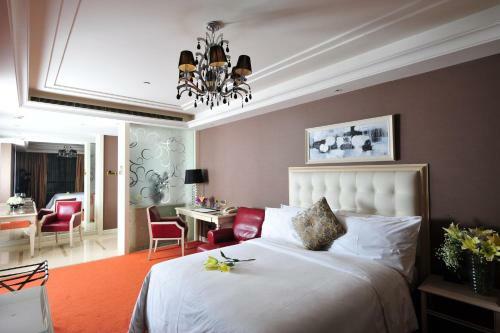 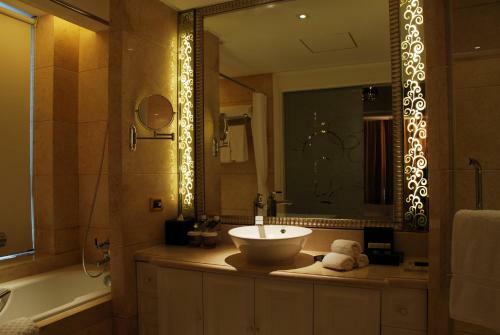 Wealthy All Suite Hotel Suzhou offers luxury suites with LCD TVs, a cigar bar, wine lounge, free Wi-Fi, and free parking in Suzhou CBD. 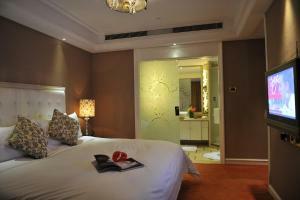 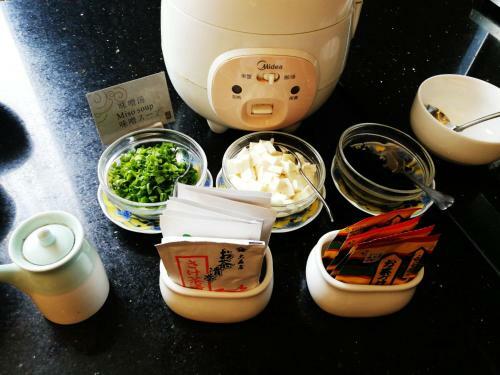 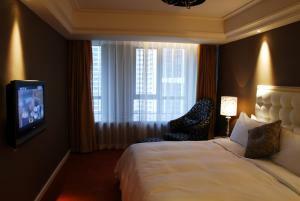 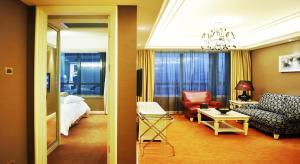 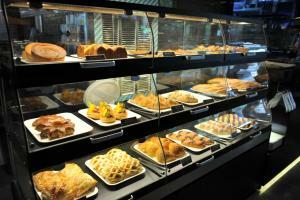 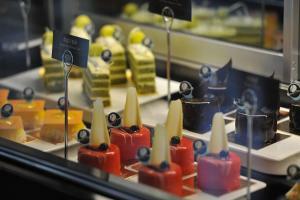 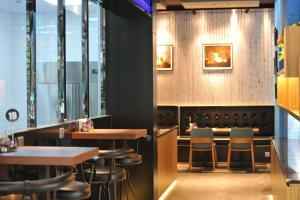 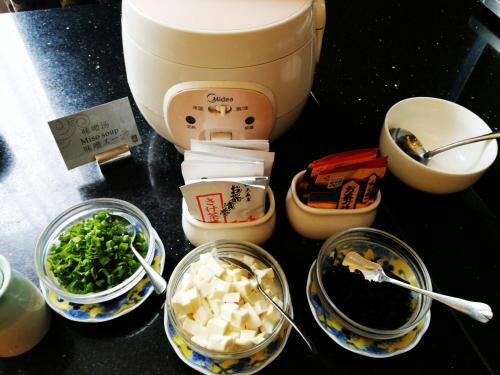 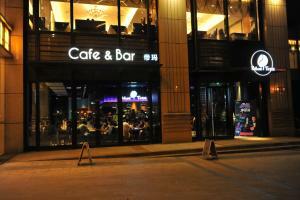 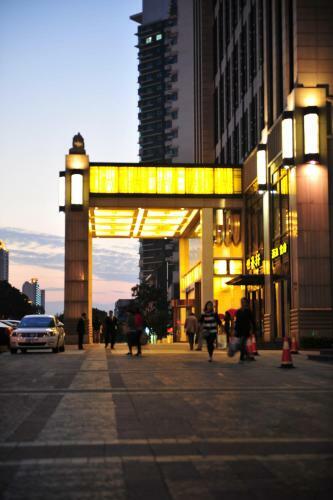 It is a 10-minute drive from Shanghai-Nanjing Express Way. 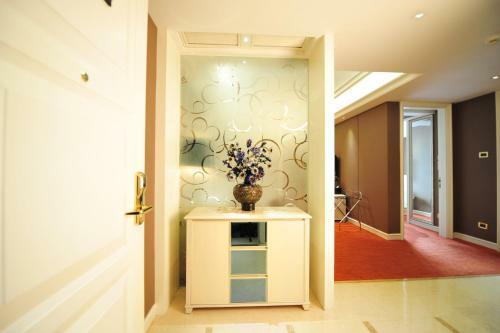 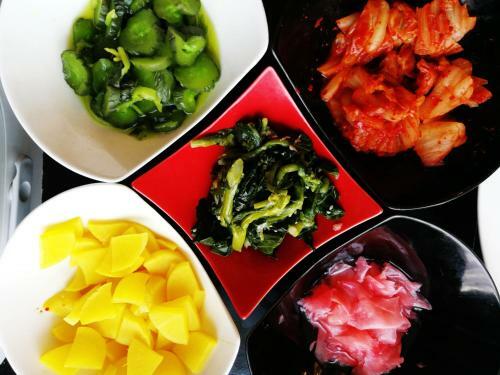 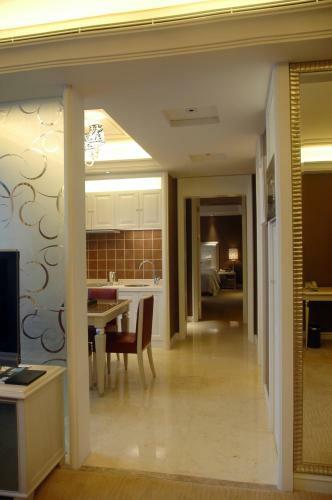 Wealthy All Suite is a 2-minute walk to the famous business street where exotic goods and Japanese and Korean food and KTV bars can be found. 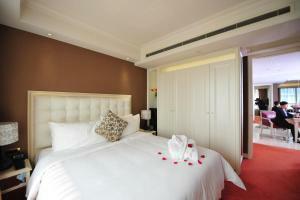 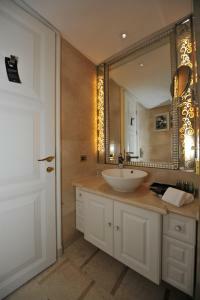 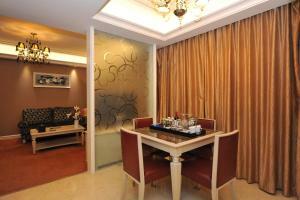 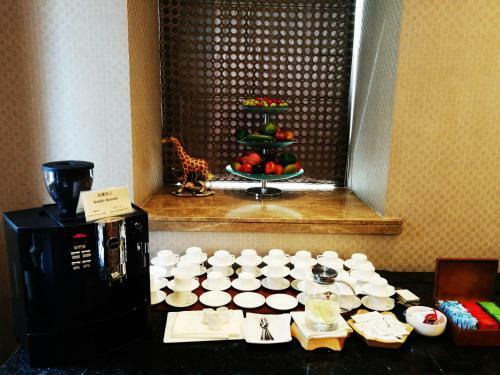 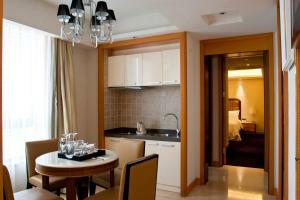 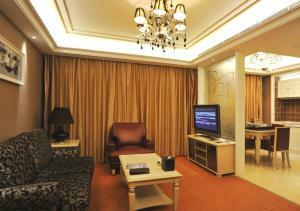 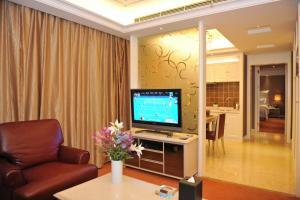 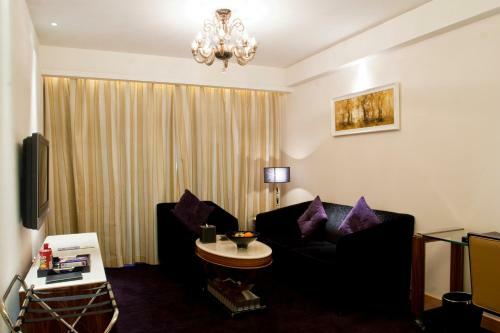 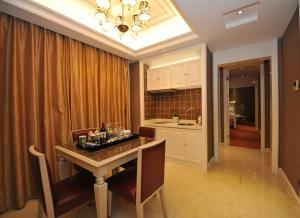 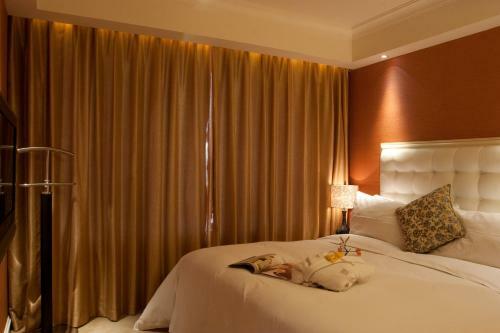 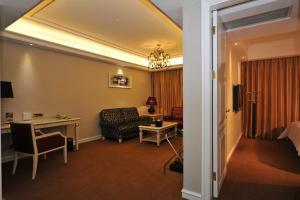 All suites are well-appointed and include air conditioning, tea making facilities, and tailor-made services. 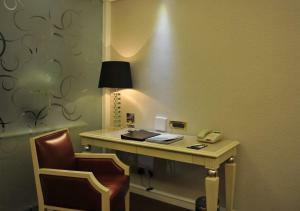 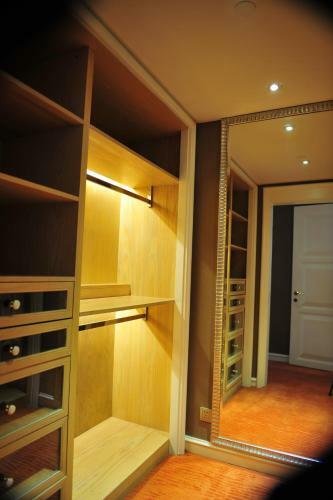 Guests can make use of the library that includes an internet café and a yoga room with gym facilities. 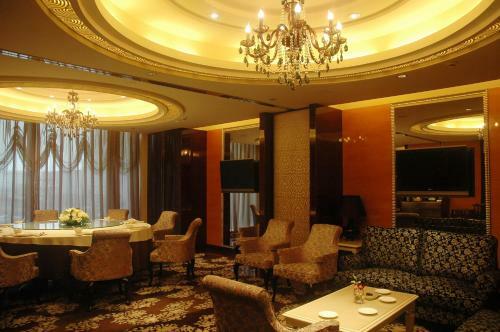 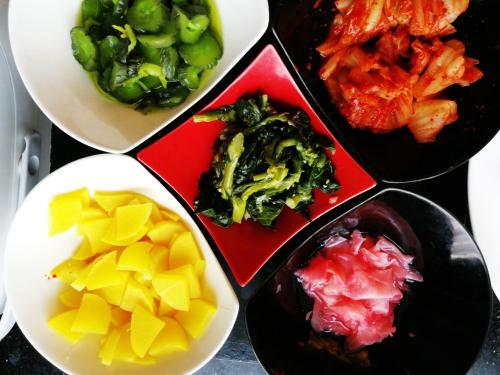 The hotel's restaurant serves authentic Cantonese cuisine, which includes more than 100 selections of Dim Sum for lunch. 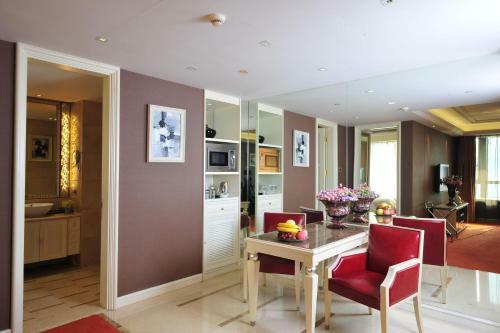 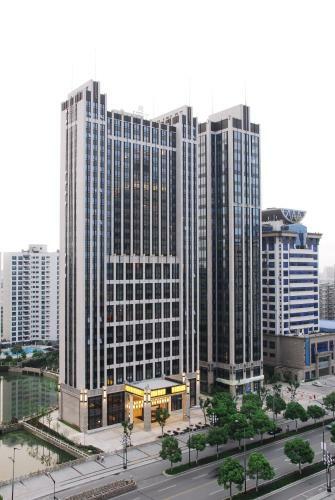 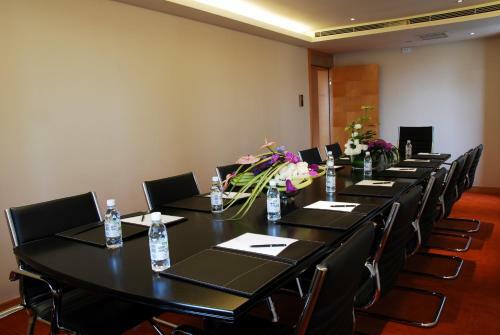 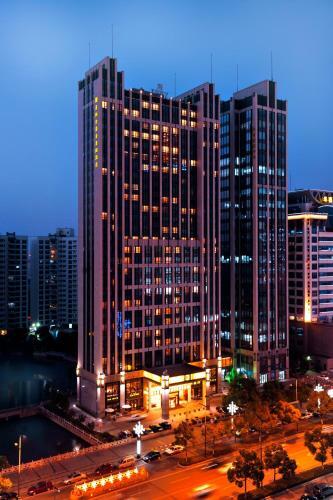 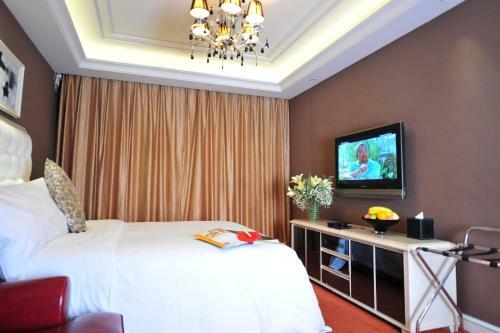 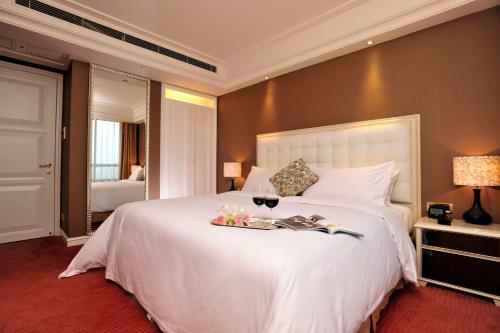 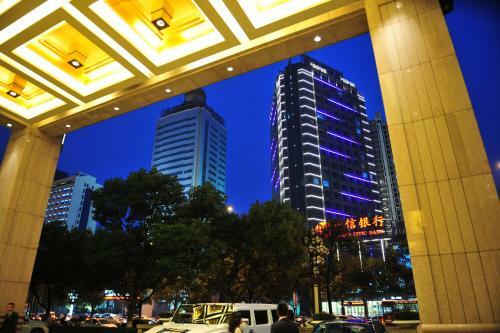 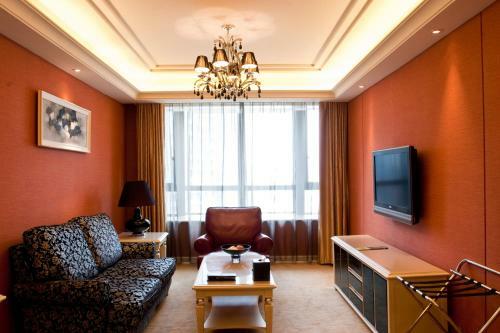 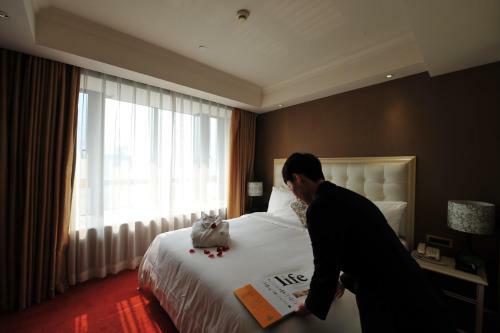 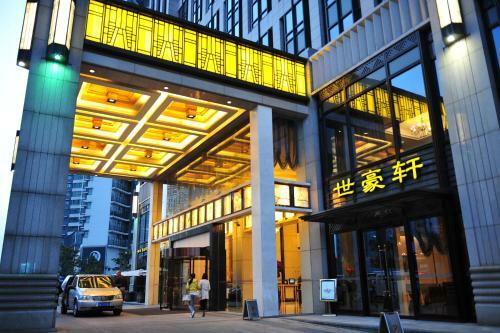 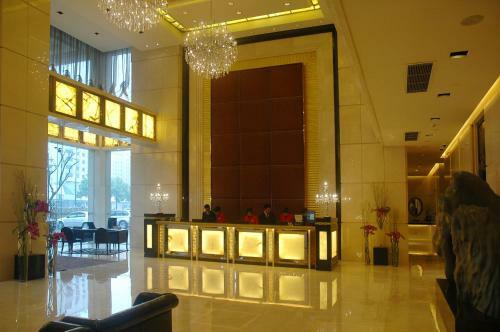 All Suite Hotel Suzhou is conveniently located in Su Zhou Hi-Tech Industrial Development Zone: 8 minutes' drive to Suzhou Railway Station, and 10 minutes' walk to the Riverside Metro Station. 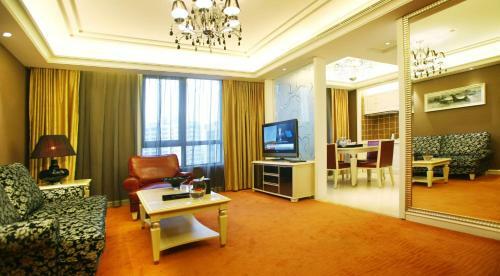 High floor suite features a spacious living room. 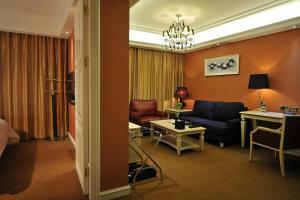 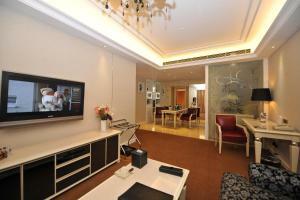 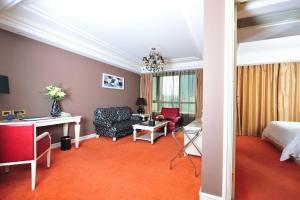 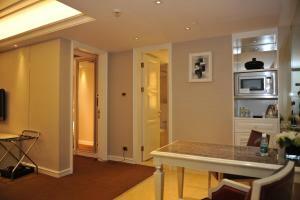 Located on floors 5-18, this suite has a minibar, a TV, a DVD player, electric curtains and a microwave. 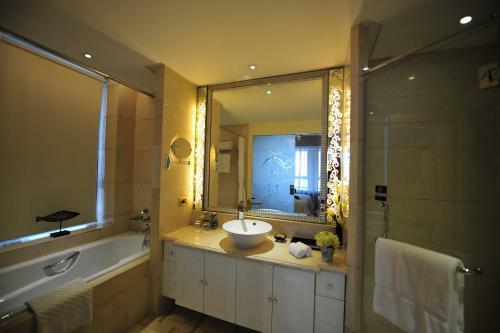 It features a living room, a bathroom and 2 bedrooms with a large double bed at 1.8 metres in width and another bed at 1.5 metres in width. 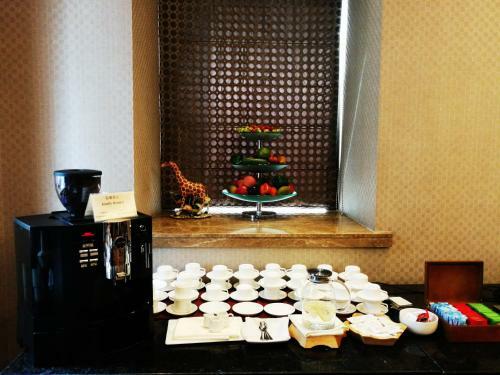 Breakfast for 2 persons is included in the rate. 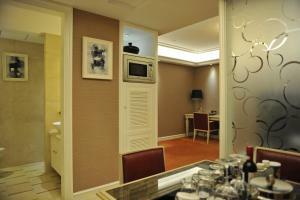 Located on floors 5-18, this suite has a minibar, a TV, a DVD player, electric curtains and a microwave. 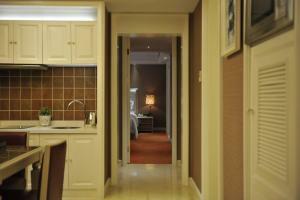 It is 65 square metres and features a living room, a bathroom and a bedroom with a large double bed at 1.8 metres in width. 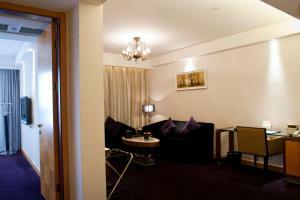 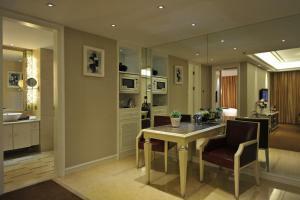 The room is 120 square metres and comes with 2 bedrooms,2 bathrooms, a living room and dinning area. 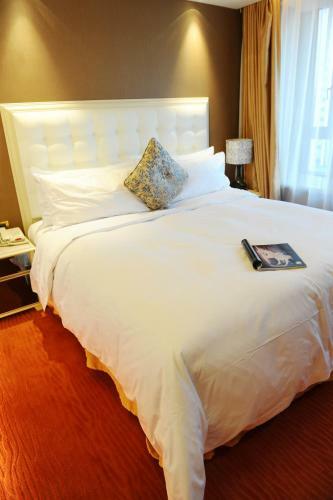 The master bedroom comes with a 2m*2m bed. 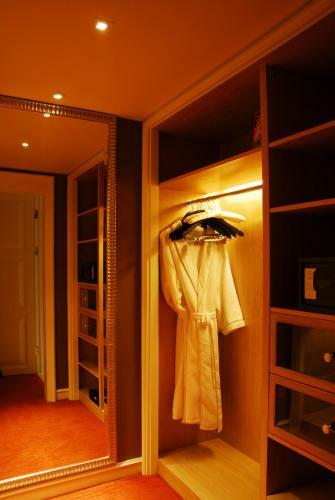 The bathroom is dry and wet separate and has a walking wardrobe. 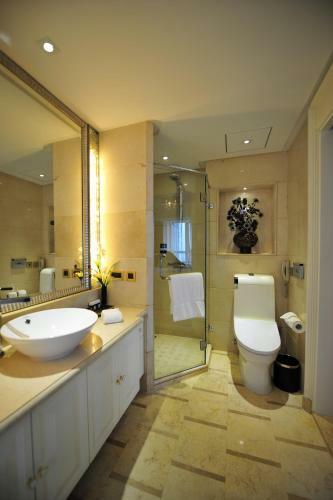 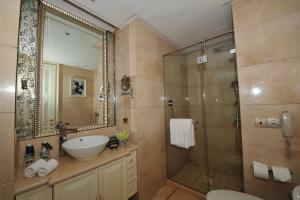 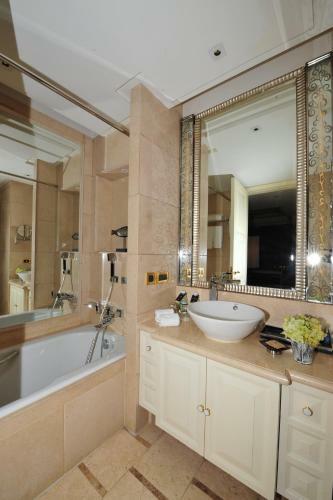 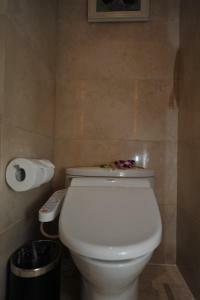 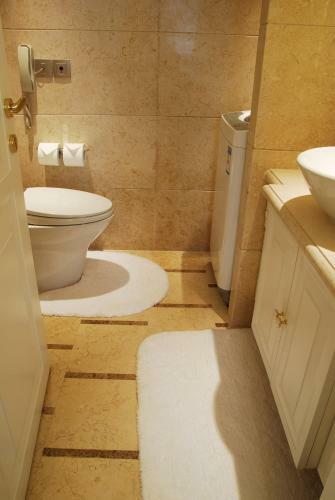 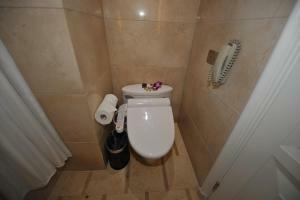 The other bedroom comes with a 1.8m*2m bed and the bathroom comes with showering facilities. 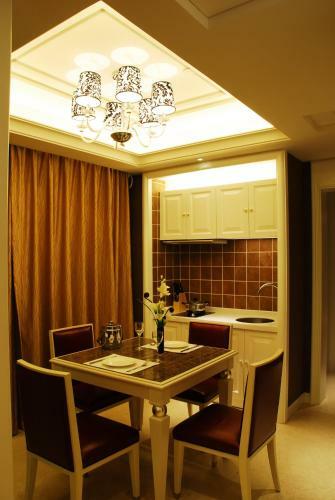 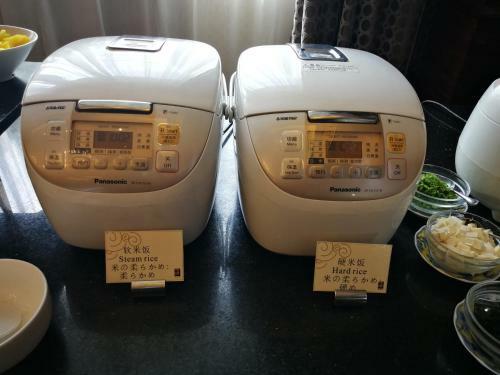 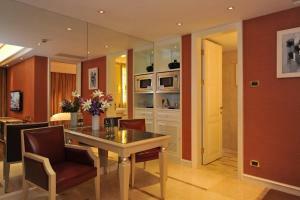 There is a microwave and a refrigerator in the dining area and it's a good choice for family stay. The room rate includes 2 breakfast. 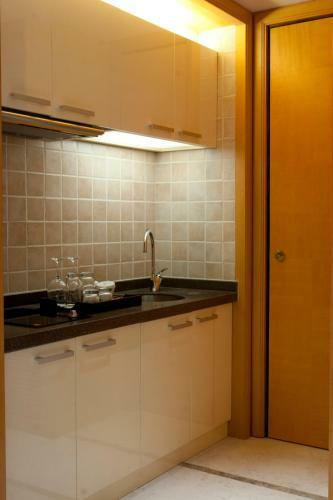 Features cooking and laundry facilities, and a living room with lake views. 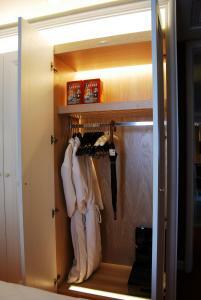 Room rate includes 2 breakfast. This suite has a seating area, DVD player and bathrobe. 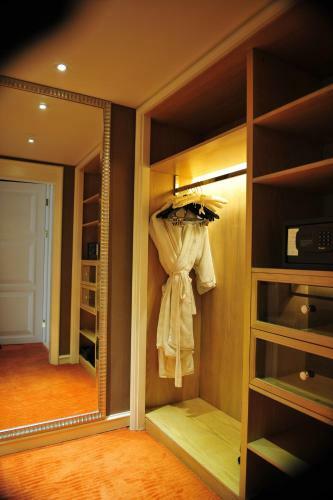 This suite features a bathrobe, seating area and air conditioning.